With the reality of healthcare reform setting in, the new tapestry of the healthcare delivery system remains foggy. One thing however, is certain; independent community hospitals are finding it increasingly difficult to compete. With news publications filled with articles of new mergers and acquisitions it can’t help but leave many independent hospitals wondering, not if, but when they will need to join forces with one of the industry giants. 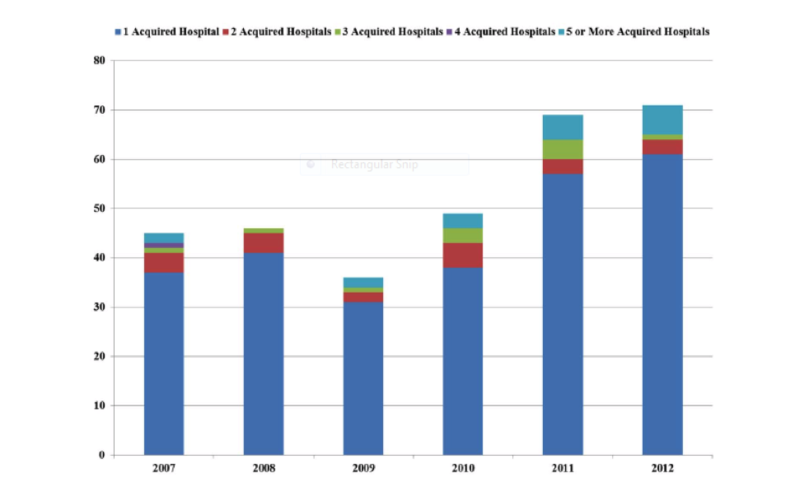 Here, five major forces driving hospital consolidation are highlighted. In June alone there were 92 M&A transactions with a reported value of 20.6 billion, up from 68 and 9.4 billion in May. But consolidation in healthcare is not a new trend. It has been increasing since the ACA was signed into law in 2010. Both the government and the private sector are creating incentives that are driving hospitals and medical practices toward one another. New payment structures, incentives for meeting quality, efficiency, and patient satisfaction goals (or penalties for not doing so) requires building a continuum of care that includes leaner hospitals and more closely aligned medical staff. In an industry with already low margins, new regulations leave hospitals seeking greater economies of scale. By combining strategic efforts, a system of hospitals can operate more efficiently than a single hospital. 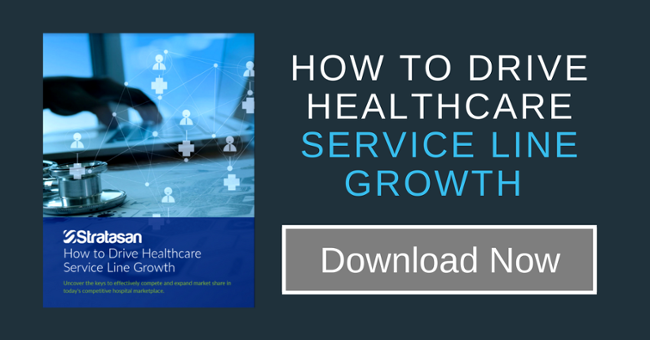 A major driving force of the consolidating healthcare industry is access to capital. Independent hospitals struggle to raise necessary capital alone and hospital systems can provide it. Large investments in IT, aging structures, and outdated equipment leave hospitals struggling to compete or a community under-served. A merger with another hospital or hospital system can provide capital for much needed renovations, improvements, and expansions and provide hope that the community will continue to be well served for a long time to come. A larger network of hospitals means greater bargaining power with insurance companies. Higher reimbursement rates can be negotiated when a system has multiple facilities and services to offer members. This allows hospitals to increase profit margins and gain a competitive advantage against competitors. A larger hospital system will also have more leverage to lure physicians away from small hospitals because of higher pay and better facilities. Due to a shift in reimbursement from a volume to a value based system, hospitals will be rewarded for better patient care management. But due to years of healthcare regulation, it is tough for hospitals and medical staff to work closely together as separate entities. However, when under the same ownership, many of these barriers can be avoided, making patient care coordination more effective. Consolidation can be a powerful tool when done correctly. If a system acquires a hospital to simply inject capital to increasing market share, it is only a short-term strategy. The hospitals who focus on aligning the interests of both the hospital and the patient through implementing patient-centered care initiatives and increasing care coordination for patients with chronic illness will be the winners in the end. These 5 forces are helping to drive hospital consolidation to a new level. And as this trend continues, the future tapestry of our healthcare delivery system will become more transparent, and the task to mold and reshape the healthcare delivery model will lie heavily on the shoulders of hospital systems as they become increasingly larger. So in today’s impressionable healthcare environment, it has never been more critical for hospitals to define their role in the community and understand the patients they serve.